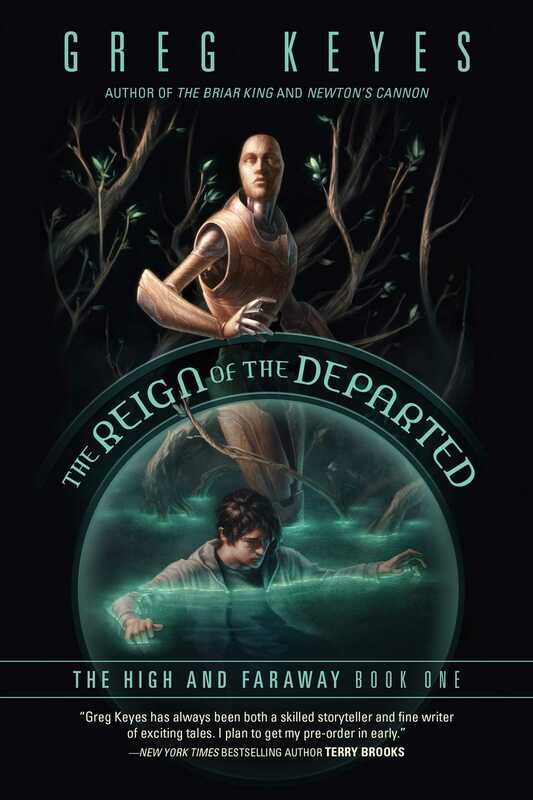 A young man looking for death finds purpose in a world beyond our own in this sweeping fantasy from Greg Keyes (The Briar King, Newton’s Cannon). Errol Greyson hadn’t intended to commit suicide. Or so he told himself. But waking up after his “cry for help” trapped in the body of a wood-and-metal construct magically animated by Aster—the strange girl from school—was not a result he could have imagined. Aster’s wild explanations about needing help on a quest to find the water of health that would cure her father seemed as unreal as her description of Errol’s own half-dead existence, his consciousness stuck in an enchanted automaton while his real body was in a coma from which it might never wake. And of course, they would need to recruit a girl who had been dead for thirty years—a virgin, no less—to lead them through something called the Pale, beyond which a bunch of magical kingdoms existed. Plus, the threat that Aster could turn him off like a light switch, sending him into a hellish oblivion, was a convincing incentive to cooperate. It all seemed quite mad: Either Aster was nuts, or Errol was hallucinating. But if it meant a new chance at life, he reckoned it was worth playing along.